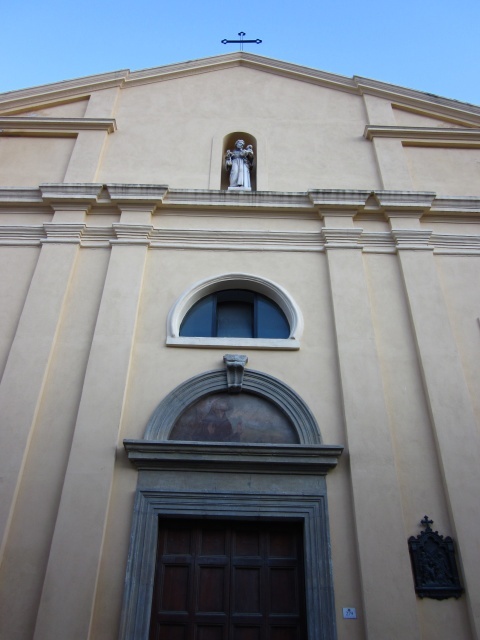 The church, date back to 1650, is located in the same place where before there was the church of Vergine della Salute, in the historical district of Villanova. It is officiated by the Franciscan fathers of Frati Minori's order, housed in the neighboring convent. The facade has a gable shape, in a modest style, painted in a brighting ochre colour. It is possible to enter into the church through a portal; the inside is composed by a single nave with a barrel vault, and three chapels for each side with round arches. One of them, is dedicated to San Salvatore from Horta, and there,is preserved a shrine with the Saint's relics.